1 pc. Knight's Lady Rocker Set is for those locations where 3 piece rocker sets are discouraged. 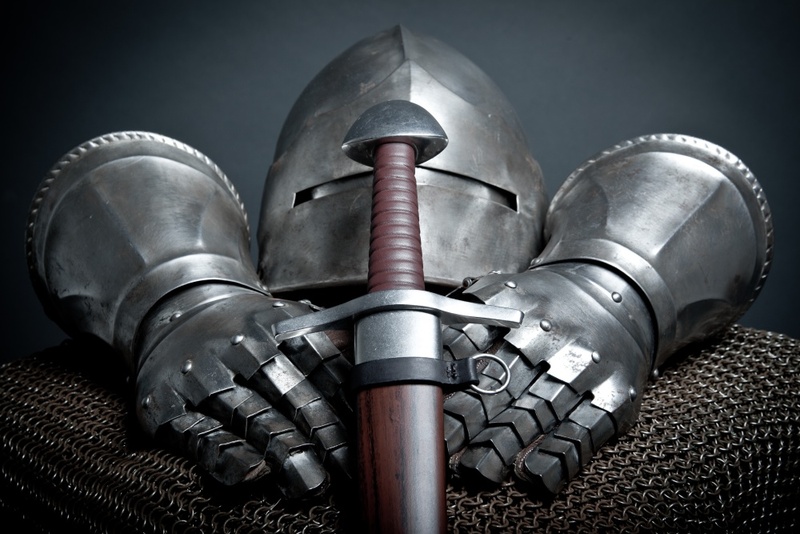 This set comes as Knight's Lady shield shaped patch beautifully embroidered in detailed 12 color image. 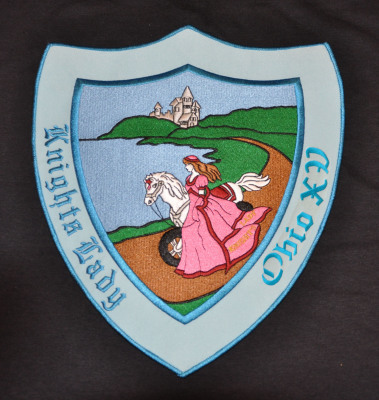 Knight's Lady is embroidered in Olde English text along left edge, Knight's Lady Patch embroidered in center, and Customized Chapter Name embroidered in Olde English along the right edge. Finished shield size H 8.25 in. x W 7.5 in. Cost: $43.00 US Place order on our Sales page.